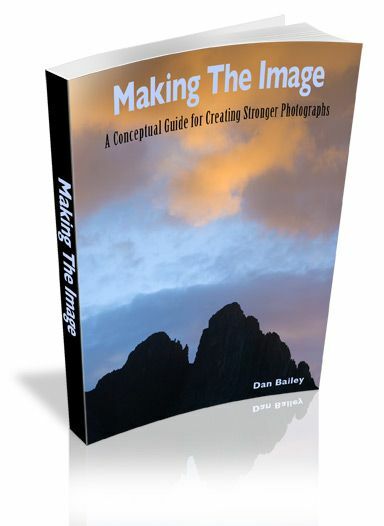 Making The Image, written by veteran outdoor and travel photographer Dan Bailey, is a 50 page eBook that will guide you towards making more powerful photographs. By exploring how the human visual system responds to the world, it breaks down imagery into individual concepts, such as light, color, balance and viewpoint. It also explores the definition and the methodology of creativity as it applies to different types of image and image making, which can help you take a more active role in your photography. Richly illustrated with full page imagery, and horizontally formatted, so it's optimized for computer monitors and the iPad, Making The Image lays out a clear approach to helping you produce photographs that will capture your viewer and be remembered by your audience.